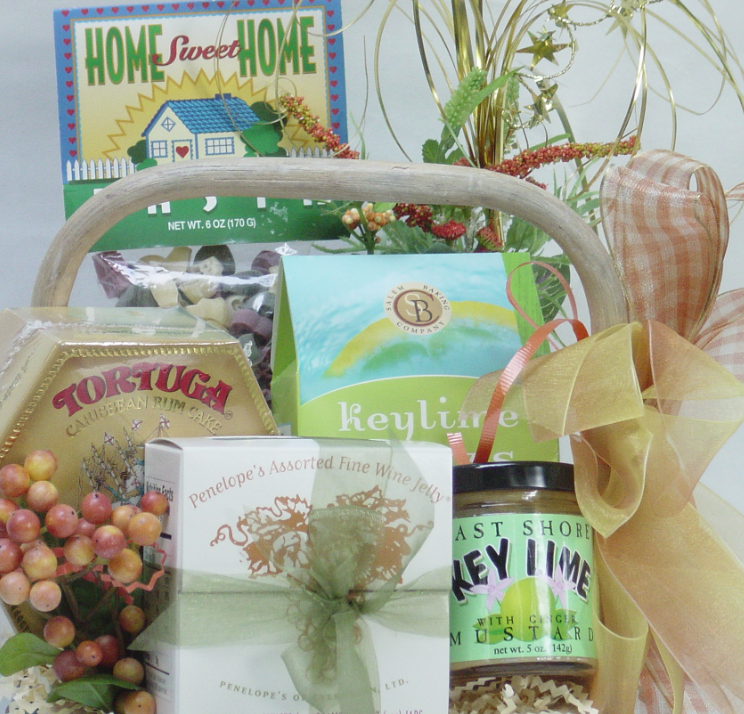 As a retailer or manufacturer, gift baskets are in your plan to increase revenue using a variety of products. This article reveals how gift baskets generate income for business. Whether your product line includes one item or a collection, gift baskets showcase it all in spectacular fashion that customers want and buy. Such results occur every day throughout the world. 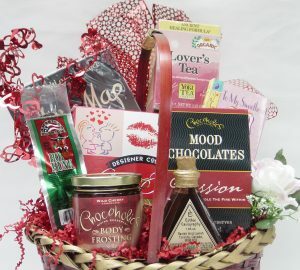 That’s why gift baskets are one of the top five most-selected products purchased or made by small and large businesses. Gift baskets are outranked in sales by gift cards, jewelry, and liquor but still hold ground against competition that cannot be bought for all reasons. How outstanding is that? If you are thinking about creating a gift basket brand or planning to upgrade gift baskets currently for sale, this site will solve the problem. Our beginnings started with helping individuals source money to launch independent businesses. However, our talents include understanding what large firms wish to achieve. More than 29 years of supporting large retailers, major corporations, and independent designers exists on this site. We’ve taught on stage, made prototypes, designed special events, and led more than 100 participants in making gift baskets at trade shows. In all, we know this industry, understand its future better than anyone, and will hand you the keys to generate income from this lucrative revenue stream. Finding items to complement their existing inventory made easy work of selecting the best items. The client received a review of the choices, and after their approval we began designing prototypes. The project also included fine tuning each option and closing it in a way that could withstand long-range shipping. As can occur, the time line to approve the prototypes and deliver the final versions onto the selling floor was short. Because of that, the first prototypes were shipped within one week. Discussions and prototype adjustments continued for just under one month, and the final approval came within deadline. The last steps took a few days of research. 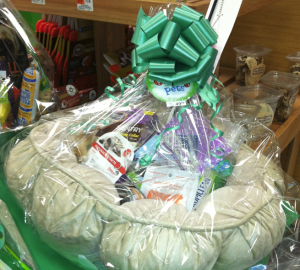 However, available outsourcing partners experienced with design and shipping were contracted, resulting in gift basket displays on the retailers’ shelves in time for holiday sales. The revenue outcome exceeded their expectations, and we continued our relationship by completing additional projects. 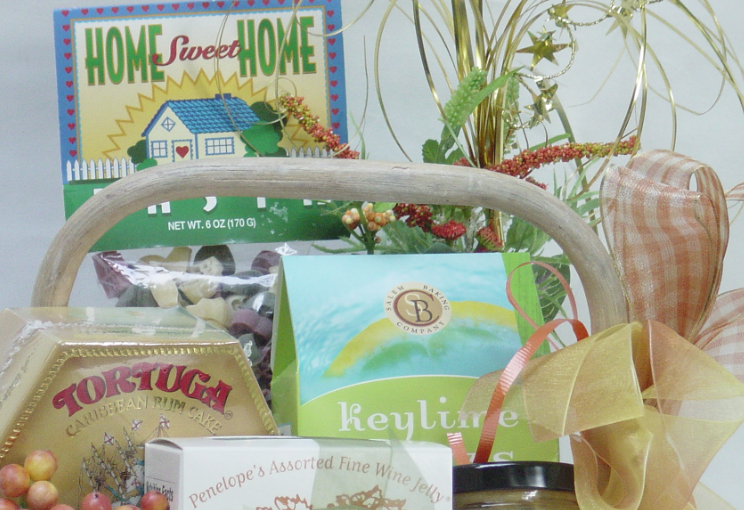 Gift baskets sell every day of the year in small towns and throughout countries. These collections are purchased by heads of state, conference planners, entertainers, young professionals, and anyone who needs to express emotion by deed rather than word. There is no one who doesn’t appreciate a bundle of foods and gifts, and the only time such a bundle doesn’t satisfy is when it’s made without considering the receiver’s preferences. Ensuring that what you create exceeds expectations is what you receive from us. There is no other product that delivers these sentiments. 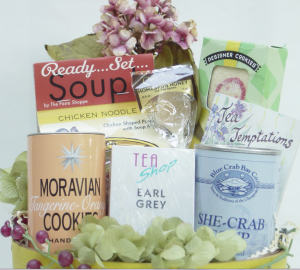 Start the process to build your gift basket brand with one call to us. Every detail about your goals, concerns, and entire process will be identified, documented, and delivered to ensure that your company’s revenue exceeds the expected results. Schedule your introduction call today. Questions before scheduling a call? Contact us here. Gift baskets are a $6.3 billion industry. It’s time to add this lucrative revenue stream to your brand.